What’s in a name? Well when it comes to the Most Serene Republic of San Marino (yes, that is the official name), there’s a lot! Want to learn more about San Marino? The beginning of San Marino dates all the way back to 301 CE, when Saint Marinus (fleeing persecution) built a church on Monte Titano. 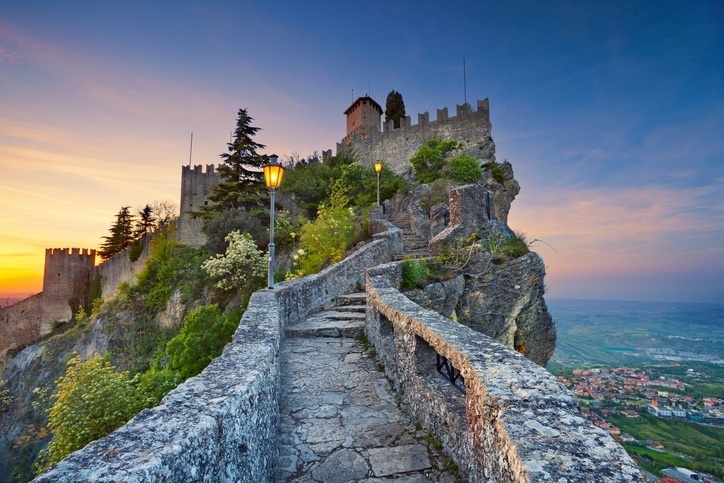 Thus San Marino was founded – and today it remains the world’s oldest surviving republic. Despite its founding over a millennia before, San Marino’s independence wasn’t recognized by the Pope until 1631. During the days of Napoleon’s conquest the republic maintained its independence due to one of the regents friendship with the French military commander. During Italian unification throughout the 1800’s, San Marino accepted refugees persecuted because of their support for unification. As a result, the republic was allowed to remain independent. Come WWI, San Marino declared neutrality (much to the chagrin of Italy). As a result the Italians cut the Sammarinese telephone lines, though some within the republic volunteered to fight and operate a field hospital. During the inter year period and for much of WWII, San Marino (like Italy) was under the rule of fascists – though it remained neutral during the conflict once again. That being said, the country was bombed by the RAF who believed that German forces had overrun the republic (they later did occupy it briefly before the Allies defeated them). Following the end of the war, a democratically elected communist government rose to power for about 12 years. Today, San Marino is a member of the UN and Council of Europe, though it is not a part of the EU. 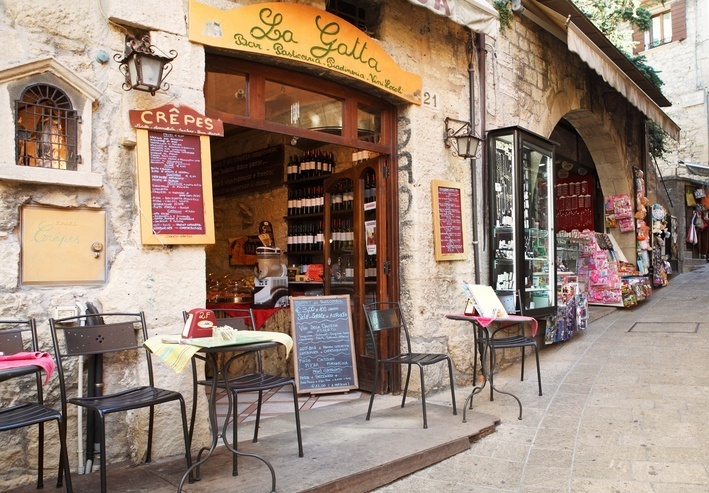 San Marino has much in common with Italy, especially when it comes to cuisine and music. The republic is also known for its small university, which has generated acclaim in academic circles. The flag of San Marino features white and light blue horizontal stripes with the coat of arms in the centre. The colors represent peace (white) and liberty (blue). The Three Towers of San Marino that feature atop the three peaks of Monte Titano can be seen in the coat of arms. Soccer is the most popular sport in San Marino, though basketball and volleyball are also followed. 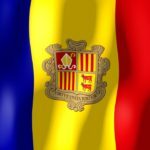 The national soccer team is considered one of Europe’s minnows and has experienced little success thus far. San Marino is an enclave, meaning it is surrounded entirely by its neighbour (Italy). The Apennine mountain range dominates the republic, with hills and peaks the most prominent feature. The City of San Marino (the country’s capital) is home to just over 4,000 while Dogana (the largest settlement) is home to 7,000. 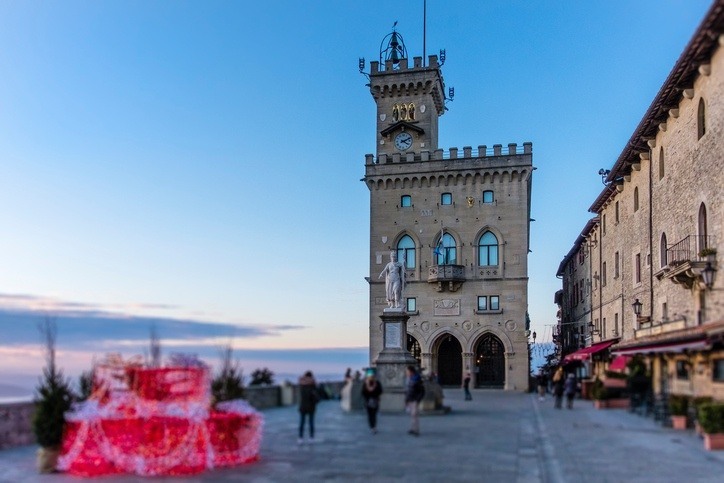 San Marino is about 1/3 the size of Washington D.C.
Like other microstates we’ve covered before, San Marino may be small but it holds a wealth of things to visit and discover! 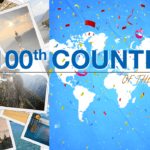 Explore nations big and small with Continental’s Countries! 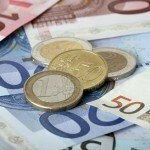 You can also brush up on the euro with our Spotlight…then keep travelling with our San Marino Travel Guide.